We were preparing to bring both cheesiepetit back to Japan some time in autumn this year, but it looked like we had to accept the challenge much earlier than expected. 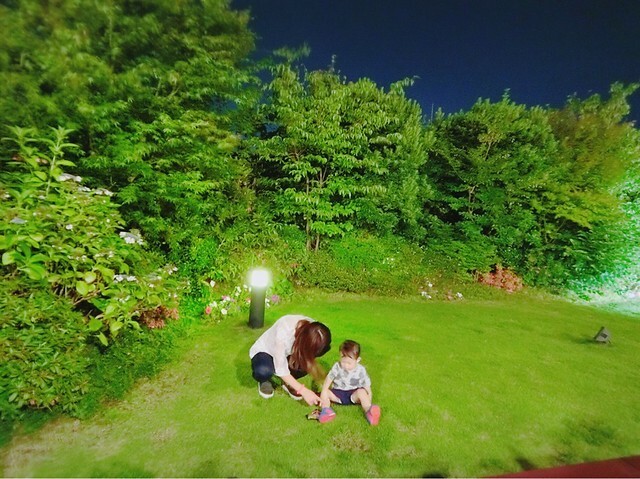 The danna didn’t want to be away from the kids all the timeso we decided to just travel as a family wherever we go. First stop: Singapore. Second stop: Tokyo. 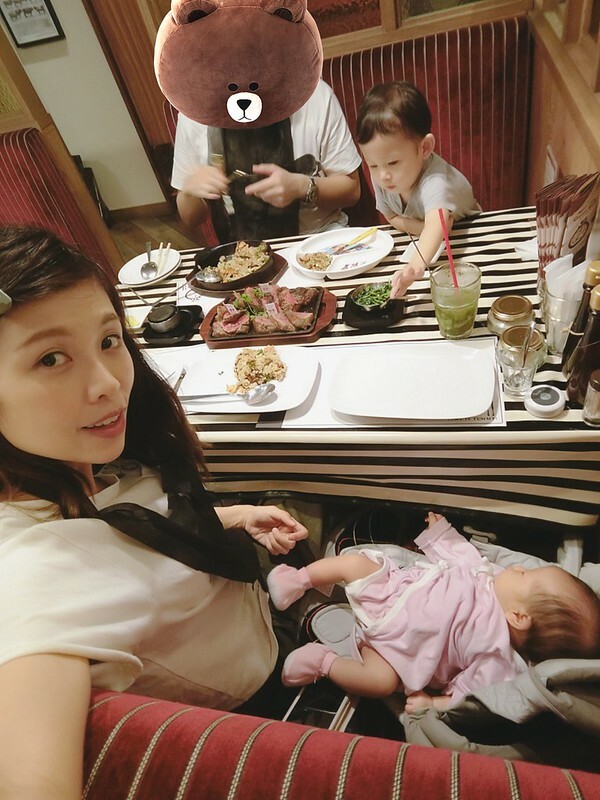 So… here’s our life in Tokyo, as a family of four. First flight for the four of us. Sakura’s first flight at 1.5 months old and Junya’s first seat all to himself as he just turned two. Japan Airline as usual, is the best. We called to book for 3 connected front seats with bassinet. JAL miniature for Sakura with personalized message (Junya has a huge collection of this lol). How sweet!! 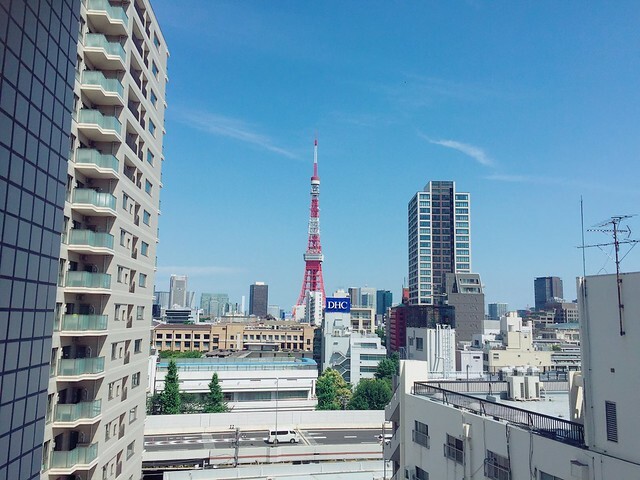 Hello Tokyo I missed you!! View from our apartment! Our whole apartment. It’s super tiny but we all have gotten used to it. 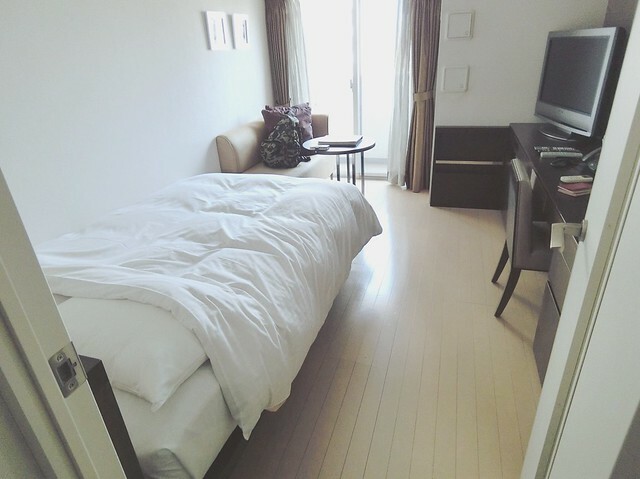 In Japan you hardly see any king size bed (I doubt it even exist, since most people who need big beds end up using multiple futon on tatami since it saves space), and ours is not even a queen size, it is “semi double”. Basically it is 1.5X a single bed – bigger than a single bed, smaller than a double bed. And our challenge was to fit all 4 of us in one bed. 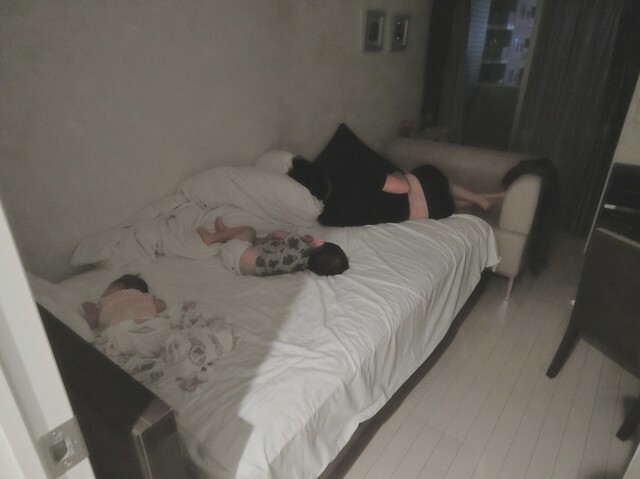 Excuse me but where is mama’s space? Here’s the rest of our apartment. Super compact but we have everything we need. A small pantry, microwave. super awesome washer+dryer. A lot of readers asked me about this apartment but it is not usually leased for tourists as it is for semi long term leasing and you will need a guarantor and it gets tedious. 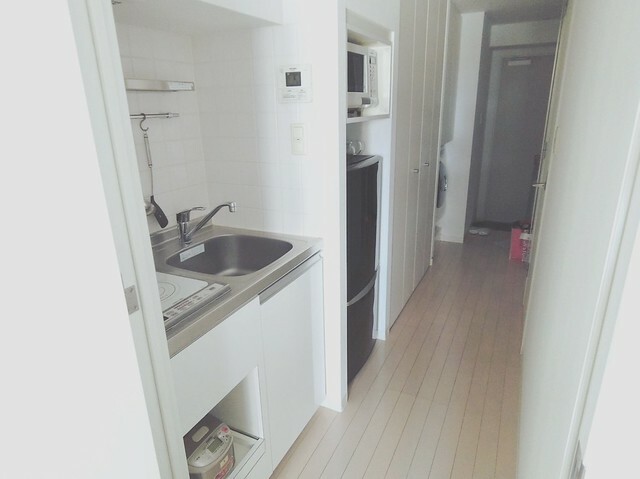 When it comes to accommodation for short term traveling in Japan, I still recommend hotels (most Airbnb apartments are not as cheap as you expect and it is usually not as clean and convenient as hotels). You can check out the HotelsCombined price comparison engine here for the cheapest hotel fees. 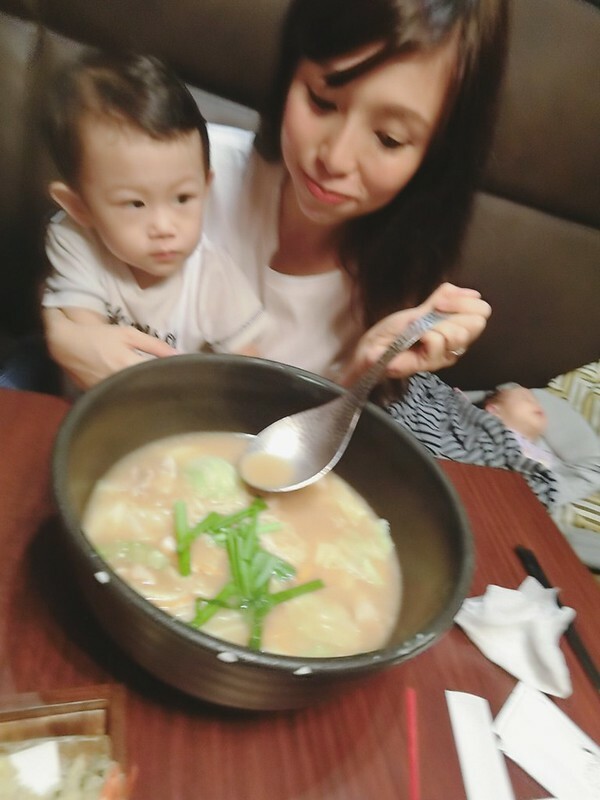 Eating out with one toddler is challenging enough, now that we have a small baby, you just need… a lot of thick face lol. 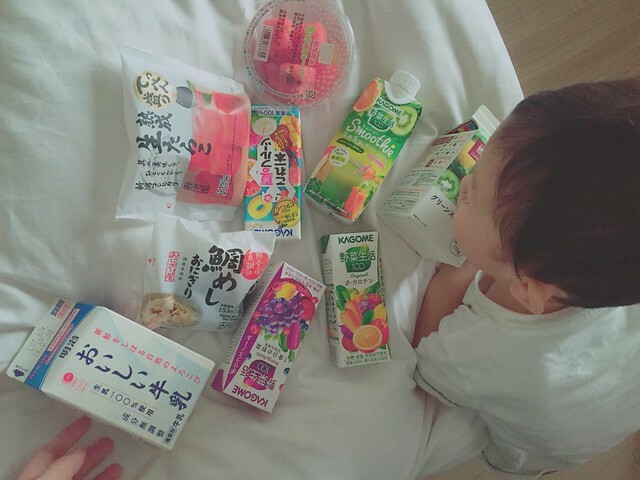 Lots and lots of seasonal vegetable & fruit juices, smoothies, seaonal fruits, onigiri and sandwiches. First stop – 76CAFE of course. It’s easy when both kids are napping. Soft cream for the summer! 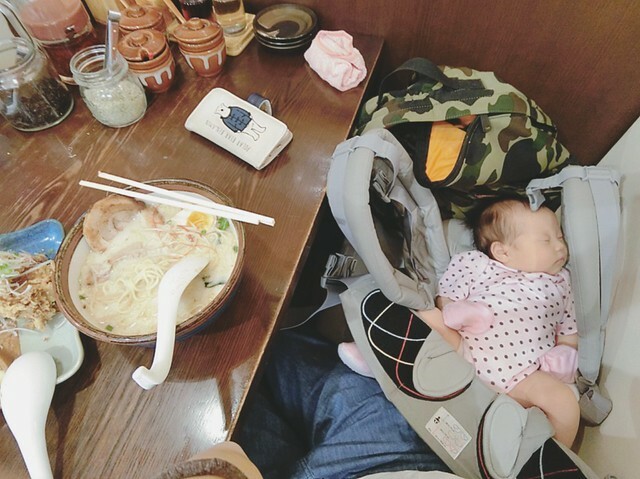 My basic rule of eating out is, when there is only counter, wear your baby. When there are seats, make a bed for your baby. And baby carrier makes a great bed lol. 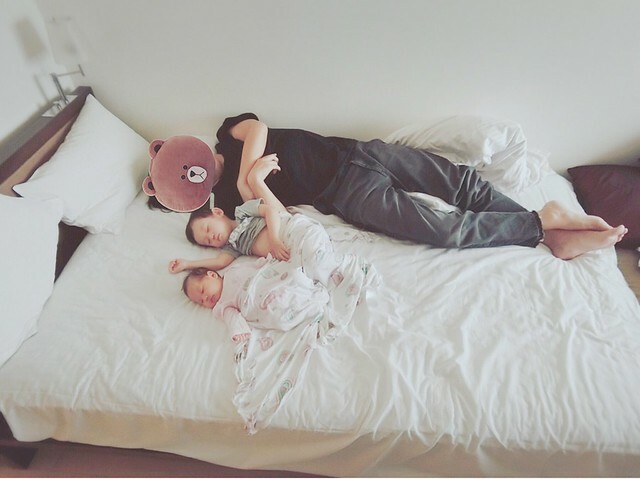 You can just unbuckle and gently lay it down without waking your baby up. You can even go to standing sushi bars where you don’t even need a seat. You walk in, order your sushi like how you order your Cosmopolitan in a bar, ate standing, pay and leave. No fuss. If you still wanna go to fancy, proper restaurant with the underaged, you can, but remember to pick non-peak hours. We went to Gottie’s Beef, an aged beef specialty steak house in Roppongi at 5:30PM and there was only another table with customer, so we get all the peace and comfort on their huge cushioned chair! The more high end Japanese restaurants are great too since they usually have individual rooms and big tables! 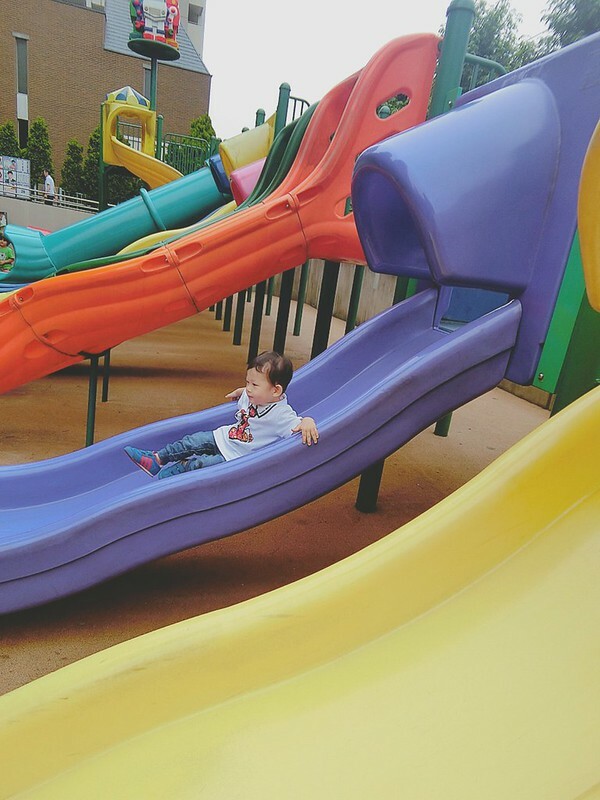 Picnic or outdoor restaurants may not be a bad choice (unless it is super cold or super hot) if you have a restless toddler who can’t stop running around. 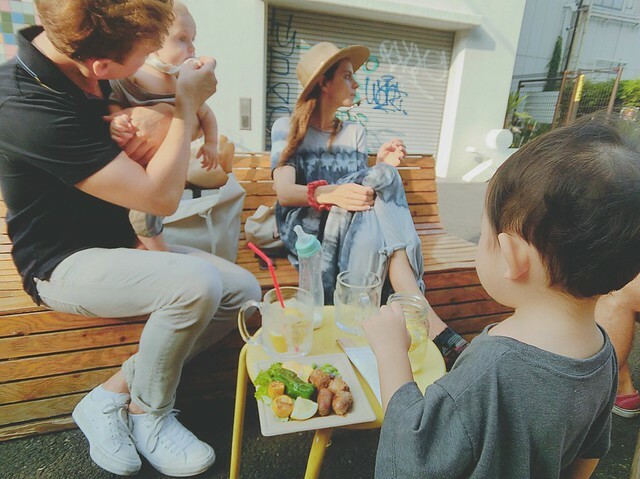 Hanging out with Jillian and her family at Commune 246, not far away from Omotesando. 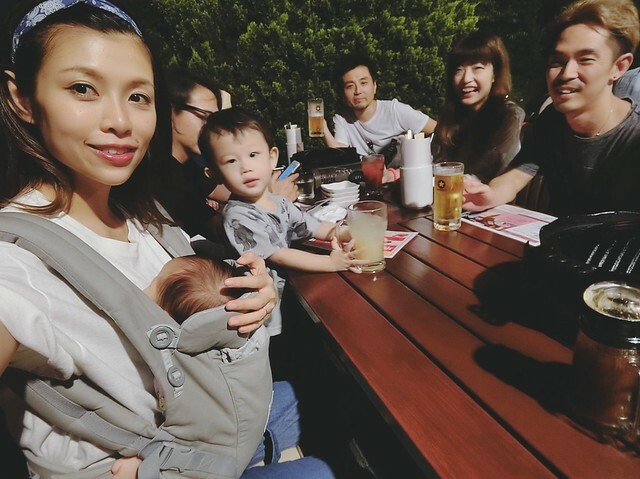 One of the rare times you get to see milk bottles and beer on the same table lolol. The danna works most days and finally I had to learn how to get around Tokyo on my own with two kids, and that was the ultimate challenge for me. 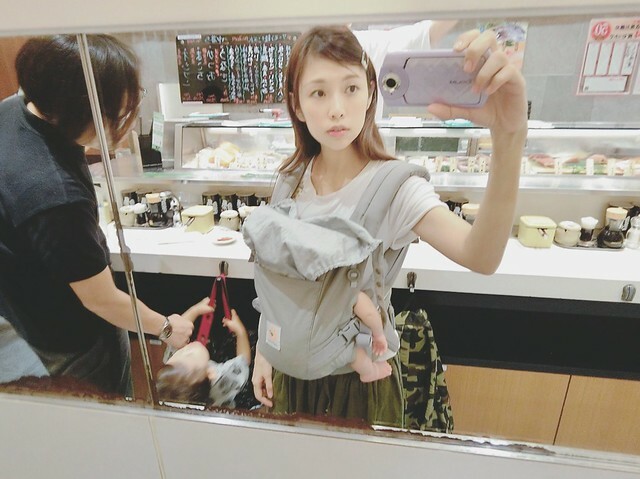 Challenge: A baby strapped to you. A stroller (not one with one-touch fold). A huge backpack full of baby stuff. A toddler who doesn’t want to hold your hand/let you hold his hand. Sometimes the toddler doesn’t want to be strapped to the stroller and sometimes the baby doesn’t want to be strapped to your chest. Solution: One word – Taxi. Yes expensive but that’s pretty much the only way to survive. 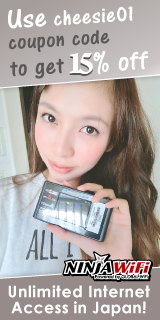 I limit meet-ups with friends around Omotesando area so per ride from our apartment in Roppongi is less than 1500 yen. When we need to go further I’ll wait till the danna’s off day so we could rent a car or take the train. 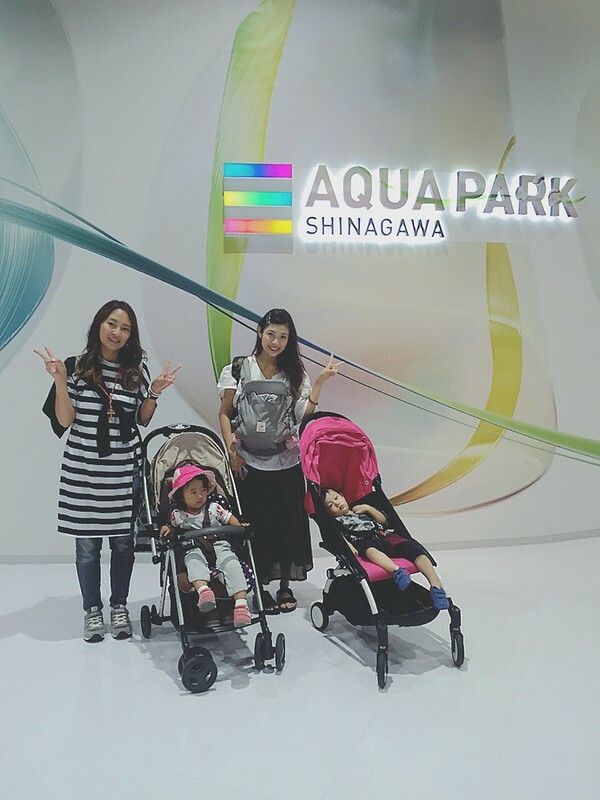 I thought the furthest I could go with two kids are the combini downstairs, but turned out I discovered more places that are kids friendly! Outdoor playground. Completely free and no-stress! Junya had fun just walking up and down the stairs haha. Went to Tsurutontan Udon for lunch. Jingisukan BBQ with NALU staff! Sakura met them for the first time! 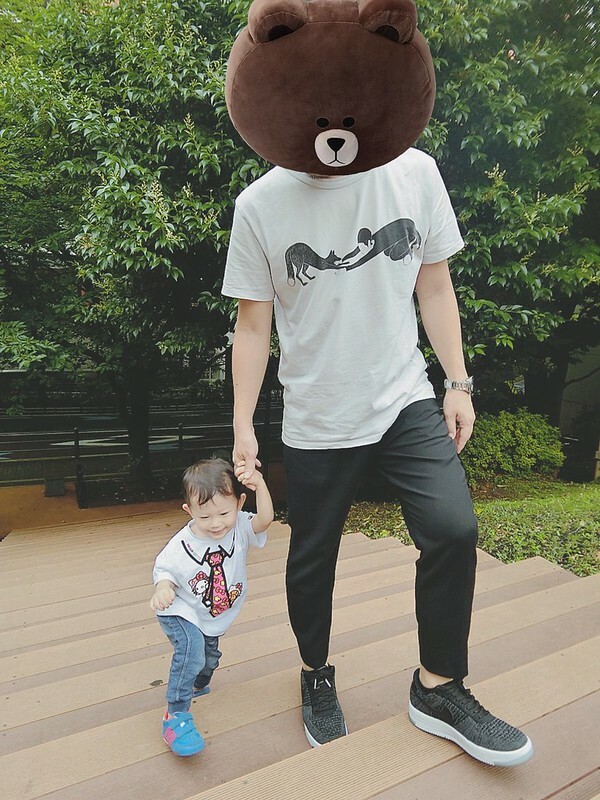 Gomisan playing with Junya. I love this shot! It looks like it’s a park but actually it’s a little garden on the roof top of a shopping mall in Shinjuku. 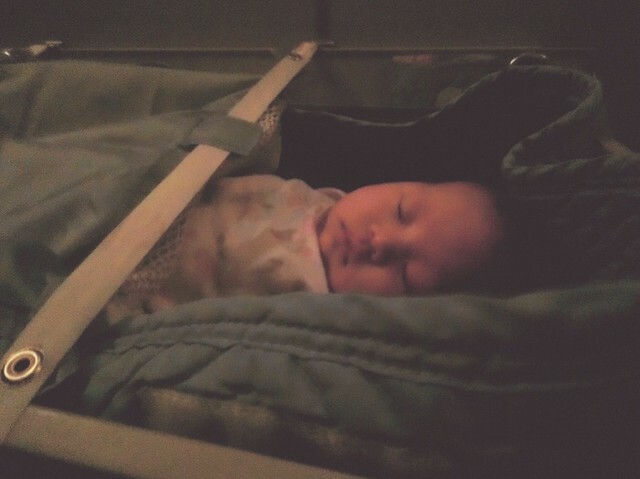 Oh and I miss babies who don’t move when you place them on the changing stations XD. Update again soon! 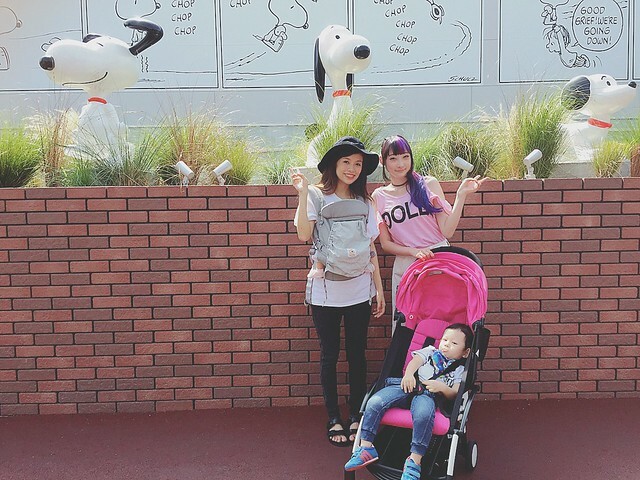 More ideas on what to do with your family in Tokyo here! I’m glad you’re doing so well with two kids!! Keep it up pokemom! I always enjoy reading your posts on anything related to Japan. You have wonderful tight knit family and Sakura is such a sweet baby. ^_^ May I ask you where you got the lace top in your last picture on this post? 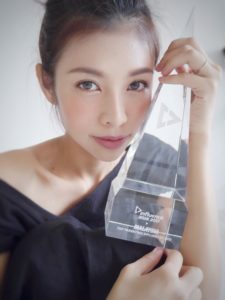 This is from It’s from Dazzlin! I really admire the fact that you can still travel and move around so much with two cheesiepetit. Could you share on how you handle nursing in public? Do you express BF beforehand or just nurse on the go? I am still feeling nervous abt nursing in public. Any advice? Nurse on the go! Get a big cape and it will have you covered (pun lolol)! Hi. 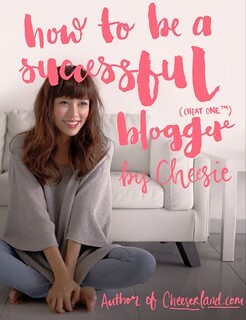 I recently just discovered your blog and im hooked! 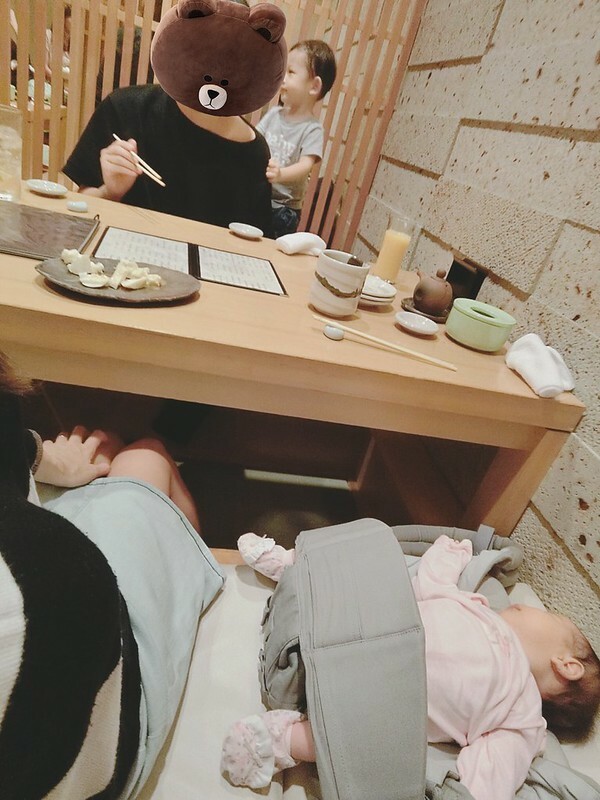 I also travel to japan few times a year with family of 4. ( 3year old and 9month old) we stay more than a month or two so we usually rent a furniture apt also. I was wondering if you could give me some reccomendations and good monthly and weekly apts. 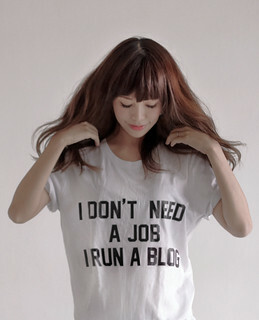 ( service apt. Furniture apt. Anything) like which is cheaper which is better etc just from your experience. Love to share and exchange some ideas with you! Hello! can i ask which shinjuku mall is the rooftop garden located at? 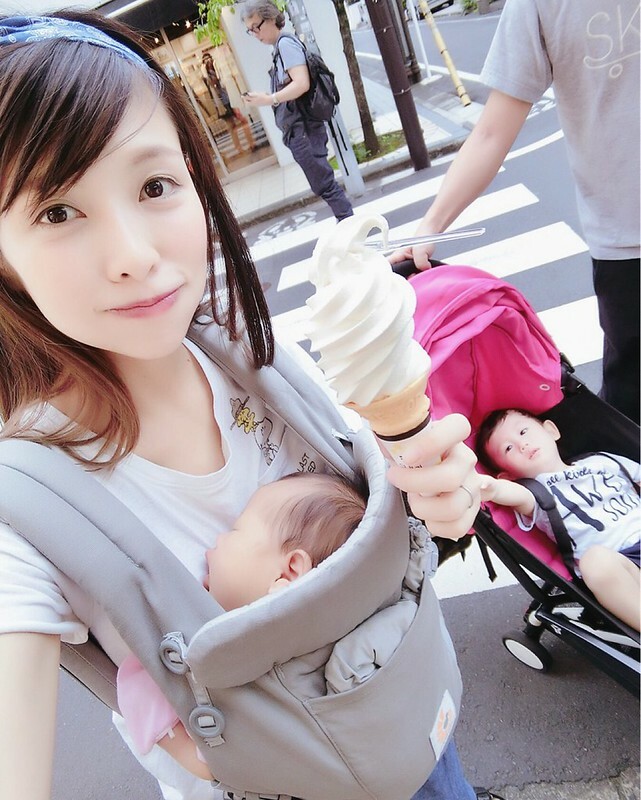 Hi Cheesie, need you advise on this as i will be travelling to Japan this Dec with my baby by then 17 months old together with 7 years old and hubby for 11 days. First time travelling, hence need your advise on the planning. We were planning to visit Tokyo , Osaka, Kyoto, Kobe and Nara. SIN-Narita (arrive ard 6am) – can we travel straight to Osaka or Kyoto? I’m totally blur and confused with the lines.